I am currently in inida working with my manufacturer on the most high-quality product possible. pictures etc. are following soon! Currently there is a Pre-Order disount. 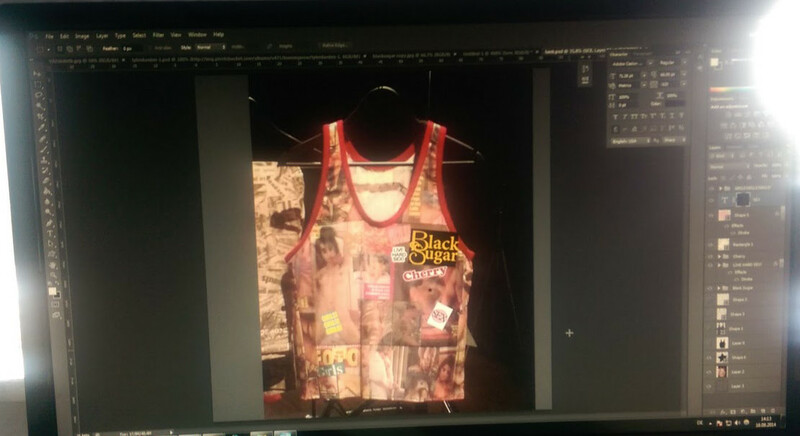 The Black Sugar Shirt will be ready in the mid/late of this year (2015). I could sell it for cheaper but that would be disrespectful to myself and the high quality of a premium product like The Black Sugar Shirt/Tank Top. I see above you say they are ready to ship by 1-07-15 but obviously the date has passed did you mean January 1, 2016? I’m still confused haha! Do you mean pre orders will be shipped 07-01-15 (June 1, 2015)? Wasn’t that in the past haha- 2 weeks ago? Long story shirt- if I order tomorrow… Will it ship tomorrow by the above statement? We will figure this out ? I just realized the 7th month is July- I think that’s what we were both mistyping haha! Do I have it right now? Pre orders ship July 1, 2015? Hey Chris I totally missed that we display our dates differently (Europe/US) haha. I’m from México how can I get te tank top black sugar? Hi there,been looking for this shirt for a long time. I’m buying it for my boyfriend since he’s been looking for it for years. Is it still available??? It will reach you in a couple of days.